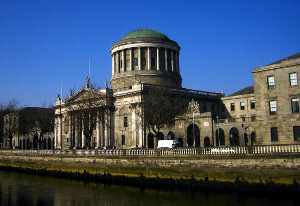 A construction company that changed the terms of its loan agreements with IBRC, allowing for an expert to estimate the amount of profit to be evenly distributed, has lost its appeal to the Supreme Court. Finding that the agreement entered into in 2011 bound the company to accept the terms of agreement which were skewed in IBRC’s favour, Mr Justice Frank Clarke said that the company had accepted that it would be at risk of losing out if there were a shortfall in the profits ultimately realised. Between 2002 and 2007, Irish Nationwide Building Society (now Irish Bank Resolution Corporation) advanced a series of loan facilities to Jackie Greene Construction Ltd to purchase lands and construct residential and commercial units (the Development). An aspect of the loan facilities advanced to Jackie Greene Construction was a profit-sharing arrangement, which Mr Justice Clarke said, “rather curiously, was referred to as an arrangement fee”. The mechanism for the operation of the profit-sharing arrangement was set out in a number of supplemental loan agreements (SLAs); essentially providing that Jackie Greene Construction was to lodge the net proceeds from the sale of the units at the Development to a designated account, and that on completion of the Development, the SLAs provided for a 50:50 distribution of the profits between the parties out of the funds in the account. Jackie Greene Construction lodged what it maintained were the net sale proceeds to the designated account and in February 2011, the relevant account contained €8,694,396.51. On 3rd February 2011, IBRC removed €6,279,354.06 from the account. Jackie Greene Construction alleged that this was done without prior notice, without their consent, and in circumstances where the Development was incomplete. Jackie Greene Construction issued proceedings seeking the return of that latter sum of money to the account. Clause 17 provided that IBRC would, following the discharge of the full profits, release Jackie Greene Construction from any or all encumbrances related to the Development and the directors of the said company will be released from any personal guarantees provided by them on such discharge. In April 2012, the Expert concluded that the profit from the Development was €17,655,857, and that each party was accordingly entitled to €8,827,928.50. Thereafter, IBRC issued a motion seeking judgment against Jackie Greene Construction for €2,548,574.44 – i.e. the difference between the profit share identified by the Expert and the sum already received. Jackie Greene Construction contended that the proceeds of sale held in the account were insufficient to satisfy each party’s entitlement as determined by the Expert, and that the balance of profit due to each party should be satisfied on a 50:50 basis from the net proceeds of sale following the disposal of the then 23 remaining units in the Development. In the High Court, Mr Justice Paul Gilligan made judgment in favour of IBRC for €8,827,928.50, with credit being given for the cash already obtained together with further credit for 50% of the net proceeds of sale of any unsold units at the development. Jackie Greene Construction appealed the order of the High Court, arguing in particular that it was, at all times, both in the original agreements identified in the SLAs, and also in the compromise agreement, accepted that both parties would share the profit on a 50:50 basis. Mr Justice Clarke said that it was clear that the original agreements between the parties did not contemplate a situation where IBRC would obtain a greater share of the profits than Jackie Greene Construction. However, the Compromise Agreement altered that situation. Mr Justice Clarke said that by accepting that the profits would be determined by the Expert “in circumstances where that determination would necessarily involve an element of estimation…Jackie Greene Construction were accepting that the 50:50 split previously agreed might be departed from in circumstances where the profits ultimately earned fell short of or, indeed, exceeded the amount determined by the Expert”. “In addition, by accepting that the sums actually held by the parties at the time of the compromise agreement (which were significantly skewed in favour of IBRC) would be the first port of call, Jackie Greene Construction was accepting that the company would be at risk of losing out if there were a shortfall in the profits ultimately realised”. While accepting that there was some ambiguity in the contract, Mr Justice Clarke was satisfied that the proper approach to the construction of the contract as a whole was that “it bound Jackie Greene Construction to procure that IBRC received its share of the profit as determined by the Expert. To take any other view would be to render the expert evaluation which lay at the heart of the compromise agreement at nought and would also create a contradiction with Clause 17”.